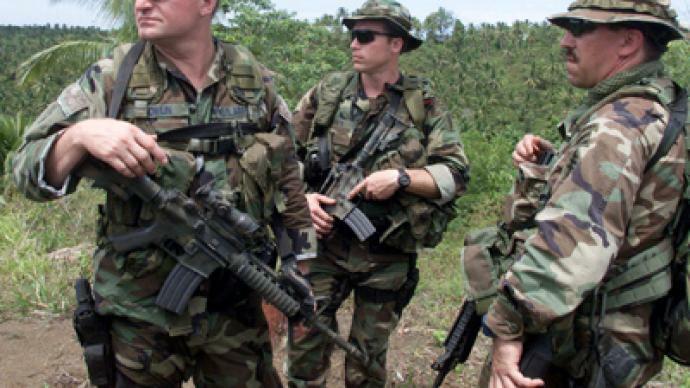 Philippines: US military outpost with nuclear capabilities? 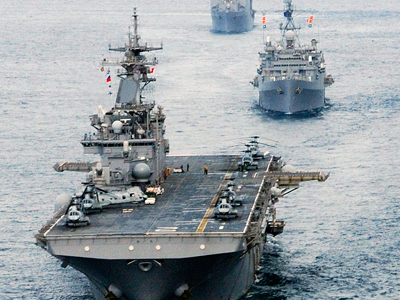 The bulk of America's warships will be permanently deployed in the Asia-Pacific region by 2020. US cooperation will turn the Philippines into an “outpost” serving the purpose of containing China, believes political activist Renato Reyes. ­Philippine President Benigno Aquino is committed to developing a "minimum credible deterrent capacity," and the US has pledged to help the country step up its defenses in the face of a Chinese threat. The Philippines' cooperation with the US comes amid very tense relations with China, over territorial disputes in strategic waters. It remains unknown, though, how much military hardware the US will provide to the country. In return for its help, the US will be given greater access to Philippine ports and airports, and according to some reports may even reopen several major bases that were shut down decades ago. The United States has made "a strategic rebalancing" of its security posture and is moving its forces into Asia, Philippine presidential communications secretary Ricky Carandang said on Friday. "They want to have a larger presence in the Asia-Pacific region because this is where the economic and political center of the world, they say, will shift in the coming decades," he explained. Renato Reyes, a political activist who heads the Bayan Coalition, told RT why his group opposes the US presence in the area. RT: The locations once acted as major hubs for military operations for US forces in the Pacific… what role are they now going to play? RR: In line with the US strategy of rebalancing their forces, the US is seeking more access to these former bases. Though they may not be going after formal basing agreements, they would have unlimited access to these facilities and many other facilities all over the country so that their ship can stopover, refuel and be stationed for periods, especially during the military exercises. All of this would transform the Philippines into a military outpost that would allow the United States to project its power throughout South East Asia. So this is a very bad development, as far as we are concerned. Twenty years after the US based were shutdown it seems that the bases are back, although not the formal basing agreement, but just the same, the functions are there, the functions of a military base are there. RT: China has clashed with the Philippines on a number of occasions in the South China Sea, and Beijing is unlikely to be happy with this news. What reaction can we expect? Could the Filipino-China conflict boil over? Renato Reyes: Definitely, the increased presence of US troops would complicate matters between the Philippines and China. It won’t stabilize the situation. It might be seen as a provocative action. 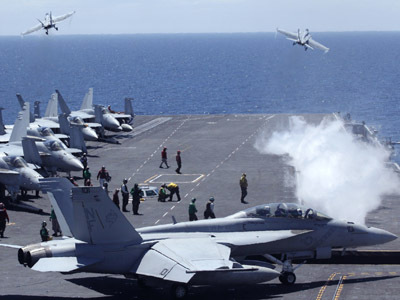 It might spark some kind of arms race in the South China Sea with the growing number of US warships entering the country. This is something that the United States has thought to exploit over the past few months, seeing that the Philippines is weak as against China. The US is now promising some kind of support for armed forces modernization, creating a so-called minimum credible defense posture. But the end result would be more in favor of the US than the Philippines. Given these arrangements, it’s the US which is really exploiting and benefiting from this territorial dispute. And at the end of the day the Philippines would be on the losing end if tensions rise with China and diplomatic venues to resolve the conflict are set aside in favor of arms buildup in the South China Sea. RT: In one of your interviews you said that the Philippines is "de facto hosting US warships presumably armed with nuclear and other weapons of mass destruction." Why the need for such devastating capabilities? RR: The US wants full-spectrum dominance in the region. 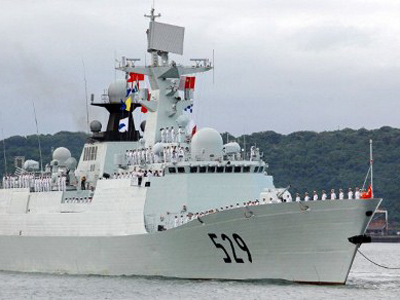 It wants to project its military power to everyone concerned, especially China. And under certain agreements with the United States, the Philippines cannot really ascertain whether these warships are carrying weapons of mass destruction or not. The Philippines explicitly, in its constitution, adopted a nuclear-free policy. 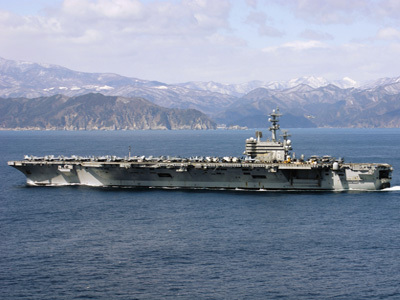 It is the entry of nuclear weapons in our country but based on the secrecy being used by the United States we can never tell if we are hosting warships with nuclear capability. It has been done in the past during the period of the US military bases. The US has admitted that it has stored nuclear weapons in its former bases. Now it might be doing the same thing again in the guise of visiting ships being used to project military power throughout the region. RT: With bases already in Japan and South Korea, troops in Australia, and joint military exercises in the region, China's looking increasingly surrounded by Washington's forces. Is the US seeking to provoke China on purpose? RR: I think the US may not be headed to a direct military confrontation with China at the moment. But the US wants to contain China, wants to encircle China and make it subservient to US dictates. Seeing the US has so many economic and business interests in China, it wants to keep China obedient to whatever it dictates. All the treaty allies from Japan, South Korea, Australia, the Philippines, they are being mobilized right now to encircle China and keep it subservient to US dictates and interests.